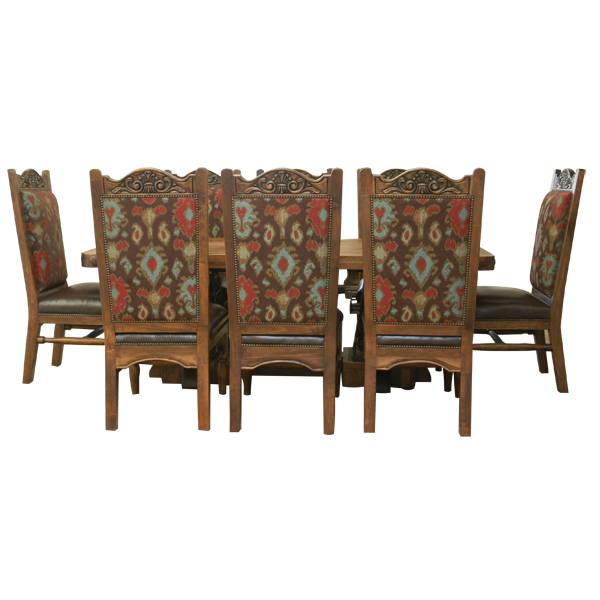 The rich upholstery and lovely hand carved details combine to create a custom chair that will work well in either a modern or traditional setting. 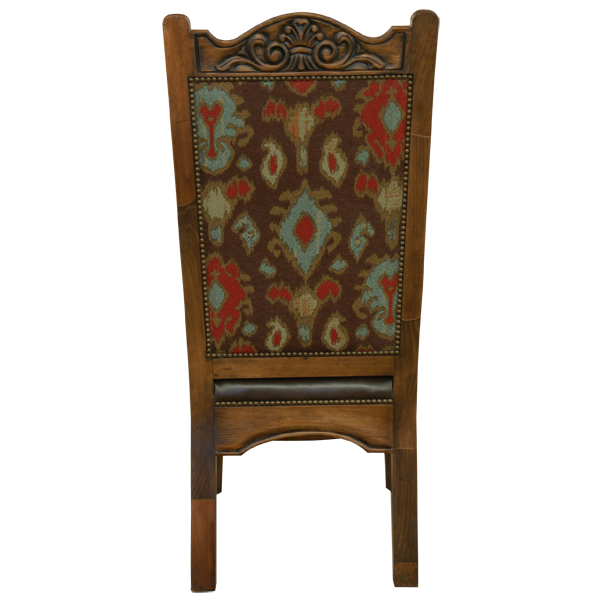 The top crest of the tall seat back of this handcrafted chair has exquisite, hand carved, floral designs. 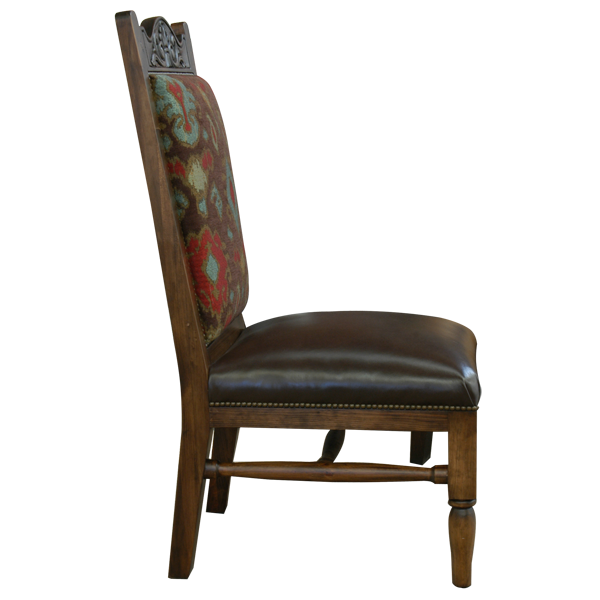 The chair is supported by straight, hand turned front legs, and simple, slightly splayed back legs. The legs are joined by a hand turned “H” stretcher. 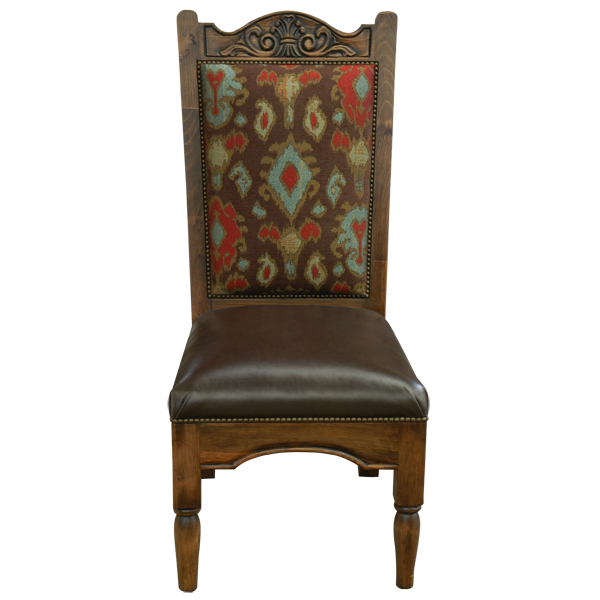 The padded seat is upholstered with brown full grain leather, and both sides of the seat back are upholstered with patterned, fine fabric. The seat and the seat back are embellished with hand tacked, decorative nails. Both beautiful and durable, the chair is made with the best, sustainable, wood available. It is 100% customizable.